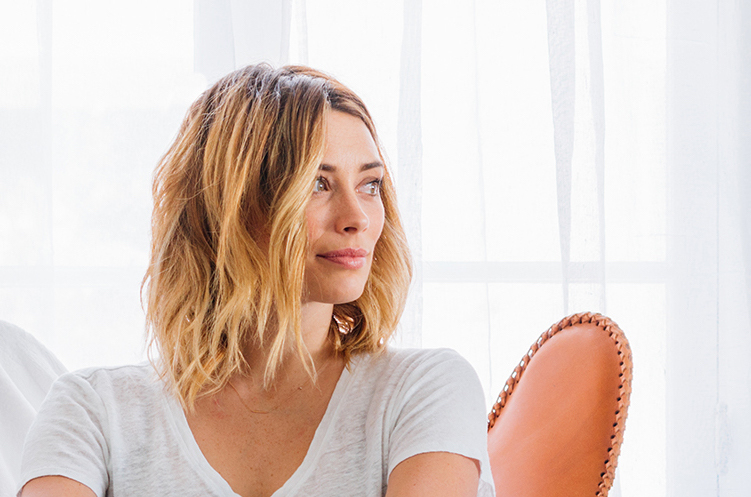 If you’re on Snapchat or Vine and not following Arielle Vandenberg, you’re doing it all wrong. 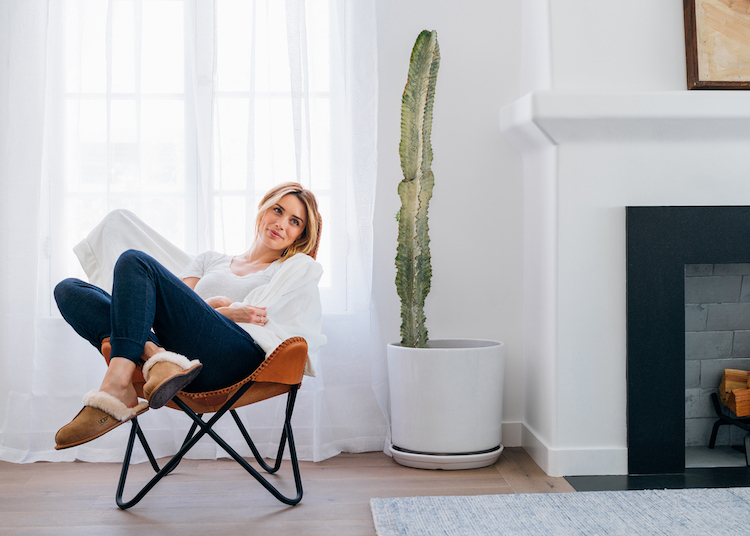 This actor and comedian has garnered millions of fans (including us) that love to watch her interview friends, get her groove on in public places, lip sync to perfection, and goof around with her partner in crime, Matt Cutshall. Arielle has no filter, which makes everything she does hilarious, and needs no filter because she’s downright gorgeous. But man can she rock a filter, which is why this Thursday she’ll be helping us ring in the first day of fall and official start of #UGGseason on her Snapchat (TheArielle). We got to know her a little bit better when she stole Matt’s keys and invited us over to his place while he was out of town. Here are 12 things you probably didn’t know about her. Humor comes naturally to her. I’ve always done and loved comedy. I started making my own videos so long ago, and I would just make them for my friends. Then everyone was like, “We need to post these,” so I started making Vines for other people. Most of my stuff is improv, especially if it’s on Snapchat. If I’m doing a video for Instagram or Vine, the scenario probably actually happened and then I go back and film it. It’s usually just the way my life is. She still listens to her mom. She filmed her own most embarrassing moment. I was doing a character with a friend at the boba place, and we were being super stupid. Then I got in my car and was going to make a Vine out of it and I like slurped the boba up. It shot up into my throat while I was still filming, and I like spit boba all over my car. I just thought, “Perfect,” and put it up. I mean look at my life. What am I doing? My mom called me asking if I was okay. Obviously I lived to post it. She has no restraint when it comes to candy. My friend had these tubs of Sour Patch Watermelon everywhere at this party, and I was literally just scooping them into my bag. Purse and side pockets completely full. Her favorite accounts to follow include a dog from Japan and a writer for Jimmy Kimmel. On Instagram my favorite account is this dog sacco_sorry. This dog is incredible. It’s a Chinese crested hairless dog. It’s the weirdest little animal, but it walks on its hind legs and it’s just so cute. On Twitter I love this guy Bridger Winegar. He’s the funniest person. Follow him. She’s not without her guilty pleasures. I can’t not watch Kylie Jenner’s Snapchats. I’m just mesmerized by them. I like looking at her make-up stuff even though I barely wear make-up. When I see it I just think, “I need this now. I need a lip kit, Kylie.” I can’t stop. I also love following Justin Bieber because doy. I don’t care where it is. I’m not like going to the club every night, but I definitely like to dance whether it’s in the street, at a yogurt shop, or at a club. I danced my whole life—literally from like age 0 until 18, I was in a ballet or jazz or hip hop class. After high school I stopped and now I just dance for pleasure. Al Green is her jam. I love Al Green. You know how you go through phases? I used to listen to him all the time, but a few weeks ago I heard “Love and Happiness” again. And I was all “Hot damn! This song is so good.” And I’ve only been listening to that for the last week straight. She stole her first pair of UGG® boots. Kind of. My first UGG® boots were actually my mom’s. They were the black ones that came up basically to my knees because they were adult size. She had them and I thought they were so cute, so I’d always walk around in them at my house. When we went on a trip one year she was like, “You can have them.” She like handed me down her UGG® boots, which is kind of gross but hilarious. And then I had them, seriously, for like 8 years. Then I finally made money and bought my own. I’m like tomboyish but in a girly way. Like I don’t wear baggy pants, but I wear jeans and sneakers almost every day. I like to keep it comfy because I’m always doing something crazy, like kicking my legs up. I can’t be free and myself when I’m wearing a dress or skirt. So put me in some overalls and let’s dance! I’m obsessed with always having sunflowers in my house. It’s a new thing. I’ve always loved sunflowers, but recently I’ve been obsessed with having them in my house to the point where when they die I will have to get in the car and drive to go get new ones. Jim Carrey is her dream interviewee. If I could get Jim Carrey on my Snapchat, I would be a living legend. That will never happen, but after that I’d be good and just…move to India. But not really. 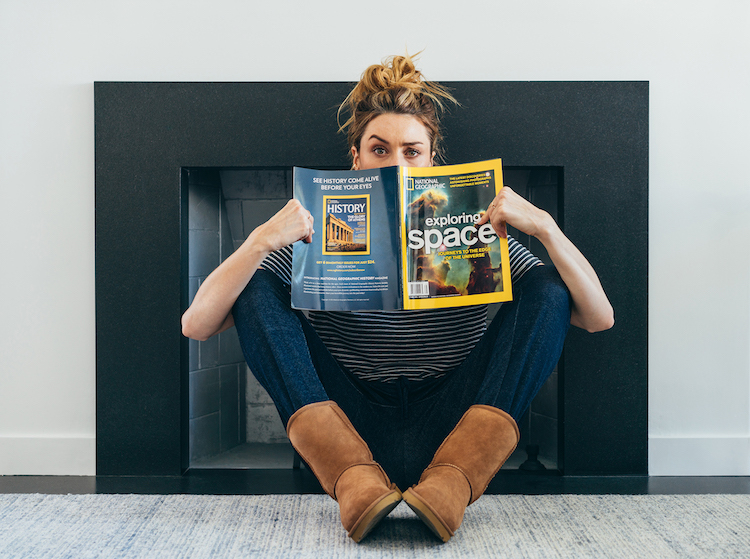 Watch Arielle kick off #UGGseason this Thursday.